Part 4 of 4 in the Faber-Castell watercolour pencils art tutorials series. 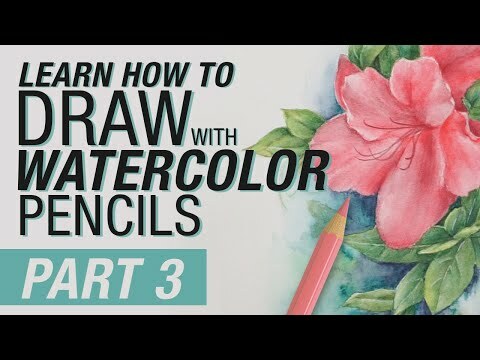 Part 3 of 4 in the Faber-Castell watercolour pencils art tutorials series. Part 2 of 4 in the Faber-Castell watercolour pencils art tutorials series. Part 1 of 4 in the Faber-Castell watercolour pencils art tutorials series. Painting onto black and white papers with Gansai Tambi opaque watercolours. Tips and tricks from Wendy Hollande for beautiful colouring with Faber-Castell pencils.